RC CW CCW Motor Remote Control Toy for Syma X9 Quadcopter Vehicle Part #1 by uptogethertek at Open Drone. Hurry! Limited time offer. Offer valid only while supplies last. 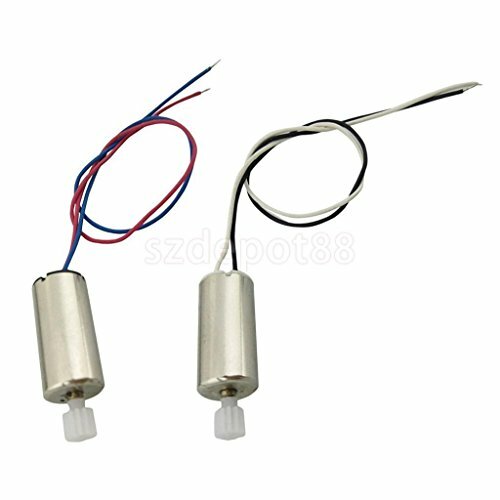 Cw motor & ccw motor for syma rc quadcopter fit for syma x9 rc quadcopter fashionable and stylish good gift to children. Designed to repair and replace old or broken motor set material: metal, plastic size chart: size( d x l): approx. 8 x 16 mm(0. 31 x 0. 63 inch). Package includes: 1 pair motor.